Remember the film's really frustrating ending? 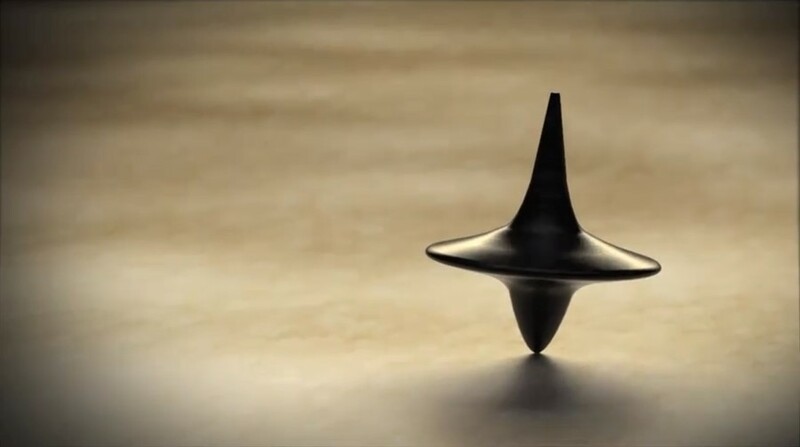 Chrisopher Nolan recently spoke about the infuriating ending to his hit film – why we didn't see whether the spinning top stopped or not? But anyone hoping for clarity will be sorely disappointed – as any undergrad philosophy student will tell you, it's because it doesn't matter. According to The Hollywood Reporter he gave a speech at the Princeton University graduation ceremony and touched on that ending. "The way the end of that film worked, Leonardo DiCaprio’s character Cobb — he was off with his kids, he was in his own subjective reality," he said. "He didn’t really care any more, and that makes a statement: perhaps all levels of reality are valid. The camera moves over the spinning top just before it appears to be wobbling, it was cut to black. "I skip out of the back of the theatre before people catch me, and there’s a very, very strong reaction from the audience: usually a bit of a groan. The point is, objectively, it matters to the audience in absolute terms: even though when I’m watching, it’s fiction, a sort of virtual reality. But the question of whether that’s a dream or whether it’s real is the question I’ve been asked most about any of the films I’ve made. It matters to people because that’s the point about reality. Reality matters." Think about it this way: can you prove that you are not dreaming? No? You'll still keep living your life anyway. We don't have our own spinning tops, but we manage to deal with it. Maybe this means that all subjective levels of reality are valid. What even is reality anyway, maaan? This is a bit like philosophical skepticism – a school of thought whichargues that we can't really know that anything is real. Nolan told the students not to chase their dreams, but to chase their realities because "over time, we started to view reality as the poor cousin to our dreams". Life-changing stuff, mate, but FFS: we just wanna know whether the spinning top stopped or not.